Oh my, I can’t believe today has arrived. Welcome to Inspire Me Monday linky parties! 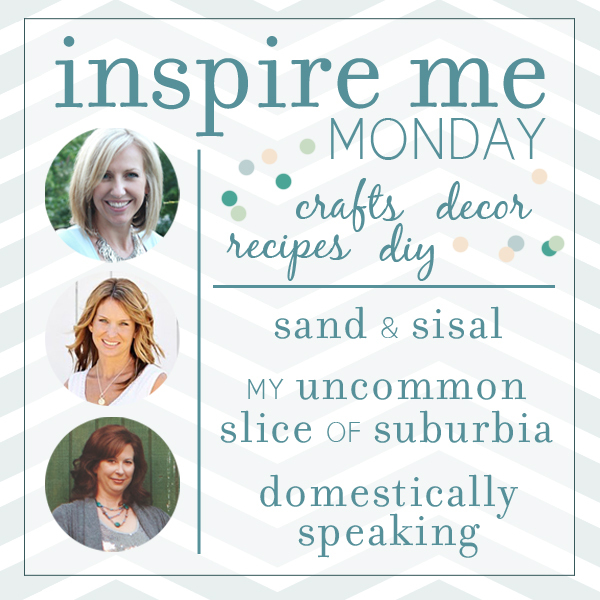 I’m so excited to have teamed up with Mary Ann from Domestically Speaking & Kristin from My Uncommon Slice of Suburbia to bring you inspiring posts each and every Monday. 3 big blogs + 1 link party = great exposure for all you bloggers and amazing, creative inspiration for every reader! Later during each week, we all hope to feature our favorites from the party, so please link up and join the fun! In addition, one extraordinary post will be chosen each week by me to be featured on the official Better Homes & Garden’s Pin Board too! So be sure to Follow Sand and Sisal on Pinterest to be included in that possible feature on BHG! Super excited about this new linky party! Thanks for taking it on, ladies! And have a fantastic week. Hi Lauren! Thanks so much for joining the party!!!! Thanks for hosting and congrats on the new party! I’m so happy you have chosen to join in our little party Malia! Thanks so much! How exciting! Thank you for hosting the party! So happy to be here!!! Thank you and best wishes! Congratulations on this wonderful party! Thank you for hosting! So many cute ideas, I don’t know where to start clicking first! 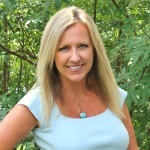 Your linky party looks great, thanks for hosting! Thanks for being our host! I’m late 🙂 Thanks for hosting! Have a great week!! I’d love to participate in this! Are you still having these link parties on Mondays in 2015? I have some amazing recipes I’d like to share. Oh yes. We will continue the linky party every Monday at 5:00 EST. 😉 So happy you want to join it!